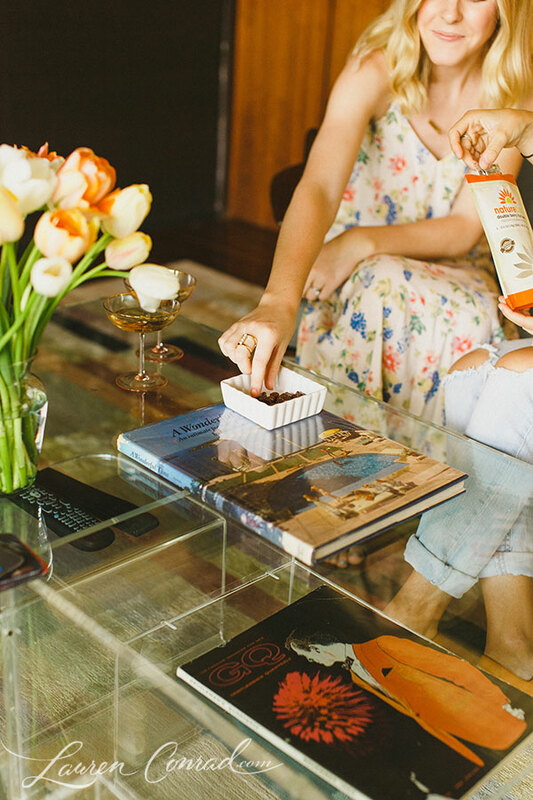 When it comes to snacks, we always look to our friends at NatureBox to help us out. NatureBox is a must-have here at the LC.com HQ! Here’s the deal: They make it easy to elevate your snacking game and discover delicious, unique snacks delivered right to your door. We always have their snacks on hand at our office, but they’re great to have at home, too! You get to choose which snacks are delivered to you (they have over 100 to choose from), which allows you to always try new snacks so you never get bored. 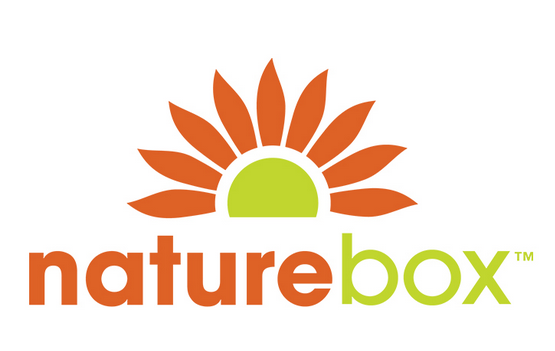 What we love most about NatureBox is that their products are made with thought and integrity. You won’t find any high fructose corn syrup, trans fats, partially hydrogenated oils, or artificial sweeteners, flavors or colors in any of their yummy snacks. Sounds good to us! Some of our absolute favorites are their Honey Dijon Pretzels (we are literally obsessed with these), Guacamole Bites, Asiago & Cheddar Cheese Crisps, and their Mocha Almond Bars. Honestly though, it’s really hard to choose favorites. Everything we’ve tried has been really tasty… and at this point, I think we’ve tried almost every single snack that they have! One of the best ways to stay on track is by starting your day with a nutritious, filling breakfast…. especially in these summer months when the days are longer and temptation seems to be around every corner. Getting a good, nutritious foundation with your first meal will set the tone for the rest of your day. It will also make sure you don’t fall prey to that 11 A.M. hunger pang that’s bound to happen if you skip breakfast. 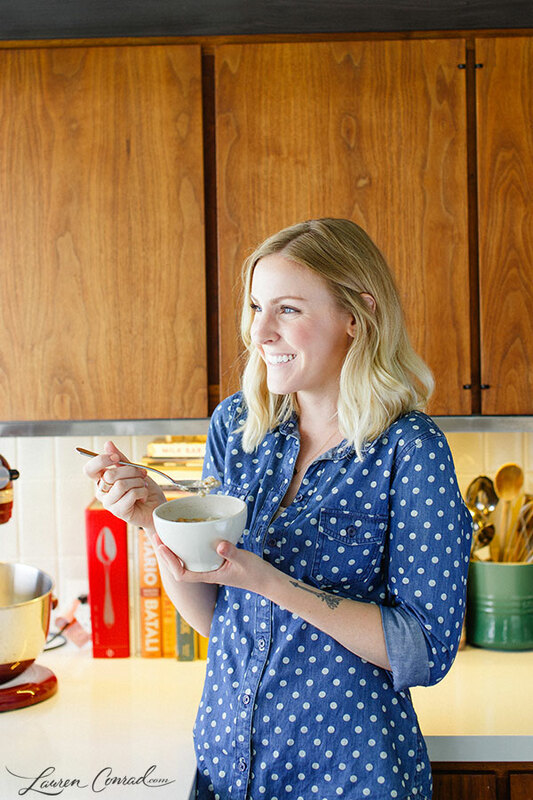 Our favorite breakfast is a hearty, filling bowl of oatmeal. 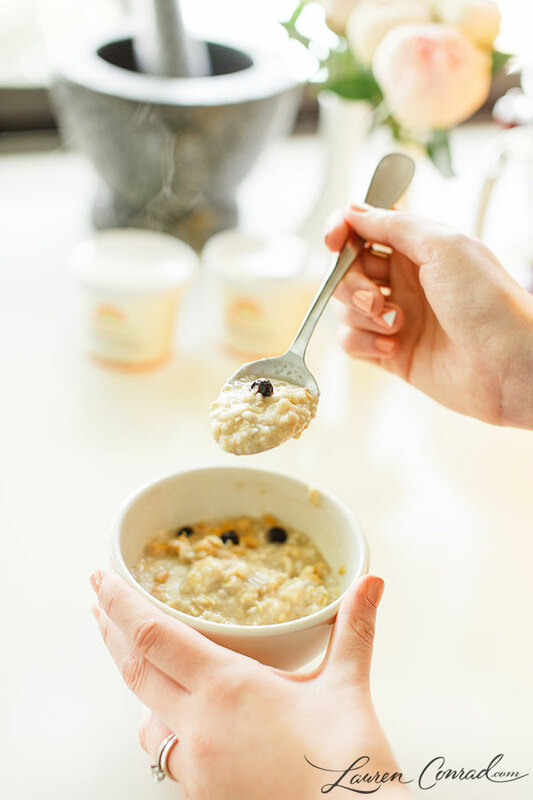 Right now we’re loving NatureBox’s Blueberry, Apple and Sunflower Seed Oatmeal. It only takes a couple of minutes to make, and keeps us full all the way ‘til lunchtime. And did we mention how good it tastes? For some reason, it feels like our social calendars are extra busy during the summer months. 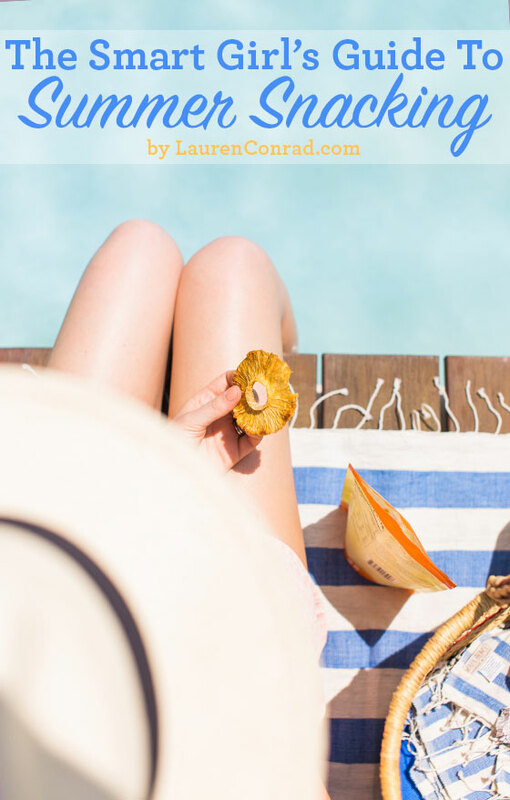 Maybe it’s because it’s wedding season or maybe it’s because the warm weather means more beach days, pool parties, and sunset soirees. Either way, when you’re heading out for a long day of work and play, you want to be prepared. There’s nothing worse than realizing you haven’t eaten in hours, feeling a little bit hangry (hungry + angry), and only having a vending machine as your dinner option. Our recommendation? 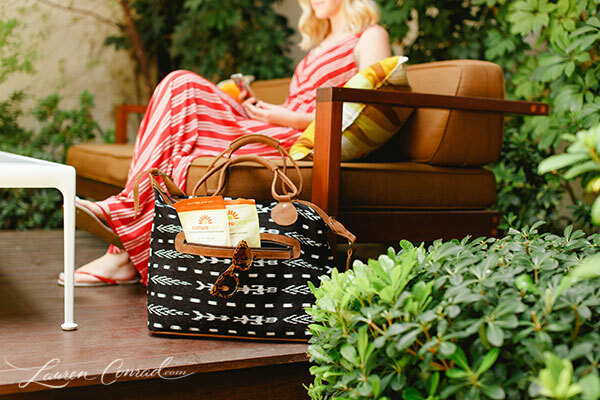 Bring protein-packed snacks along when you head out for a day of work, traveling, or fun in the sun. We always try to keep some of NatureBox’s Sriracha Roasted Cashews and Country Ranch Sunflower Kernels with us when we’re out and about. Nuts and seeds are a great source of protein, and will ease that hanger until you’re able to find a healthier option for dinner. If you’re hosting a movie night or girl’s night in, there’s no reason why you can’t put together a delicious spread of snacks that will please your guests and keep you on track. Forget about serving chips and cookies, and instead put together a platter of NatureBox’s Salted Caramel Pretzel Pops, Mango Orange Fruit Chews, Coffee Kettle Popcorn, Roasted Red Pepper & Artichoke Bruschetta Dip and Sweet Onion Kale Chips. Your guests will love the variety of snacks, and they won’t even know that you swapped out their favorite indulgences for smarter choices that you got from NatureBox. When you’re invited to that pool party or beach bonfire, there’s nothing wrong with coming prepared. You never know what kind of food will be on hand, and it’s usually a safe bet that there will be plenty of not-so-great options tempting you. When we head to a get-together, we always bring some reinforcements with us. Our favorite bites for summertime parties are usually some sort of dried fruit. Nibbling on some of NatureBox’s Big Island Pineapple makes it much easier to say no to the 8-layer nacho dip that’s will not have us feeling so great in our bathing suits. 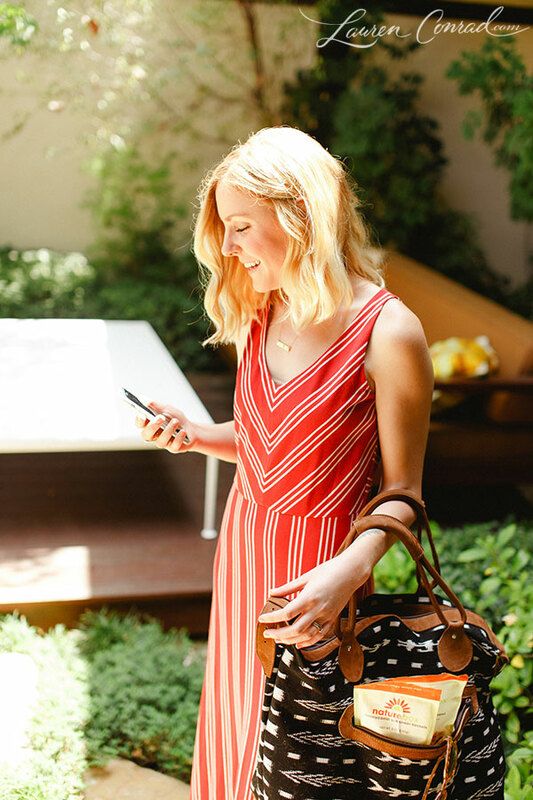 And now it’s time for the best part… an amazing giveaway! NatureBox is giving one very lucky LC.com reader a free 1-year subscription. Pretty great, right? UPDATE: We have our winner! Congratulations to Isabel Lugo, you’ve won 1 year of NatureBox’s delicious snacks! Click here and browse through NatureBox’s delicious list of snacks. Leave a comment below letting us know which snack (or snacks!) you’d like to try. Make sure you leave your Instagram or Twitter handle, too. Check back next Wednesday to see if you won! And the exciting news doesn’t stop there… NatureBox is letting you try some of their most popular snacks for free! Just click this link to get started. Which NatureBox snacks are you most excited to try? Giveaway is open to US and Canada readers only. To win the giveaway, you must have a US or Canadian shipping address. Giveaway ends at 12am PST on Tuesday, June 23rd and winner will be announced on Wednesday, June 24th. Free trial is available for new and US and Canadian subscribers only. Not valid on gift subscriptions and may not be combined with any other offers.